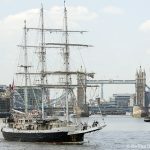 THE TALL ship Lord Nelson returned today after a two year voyage around the world which has seen it sail over fifty thousands nautical miles. 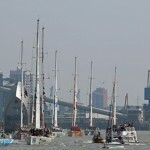 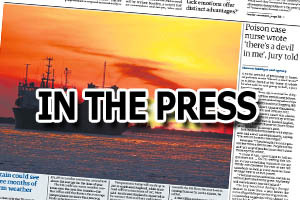 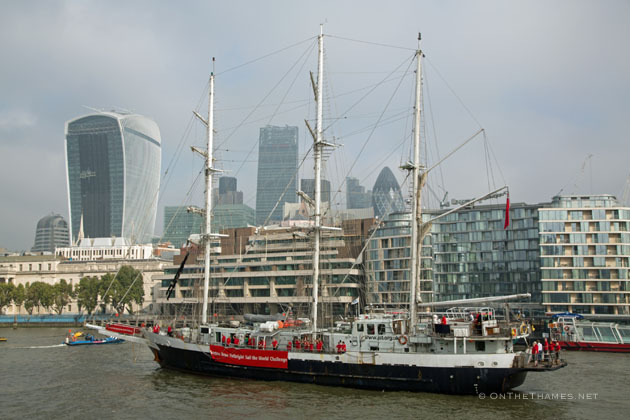 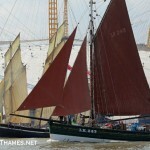 The 55-metre ship was the first to circle the world with disabled crew members and arrived on the Thames today accompanied by TS Tenacious, both of which are owned by the Jubilee Sailing Trust charity. 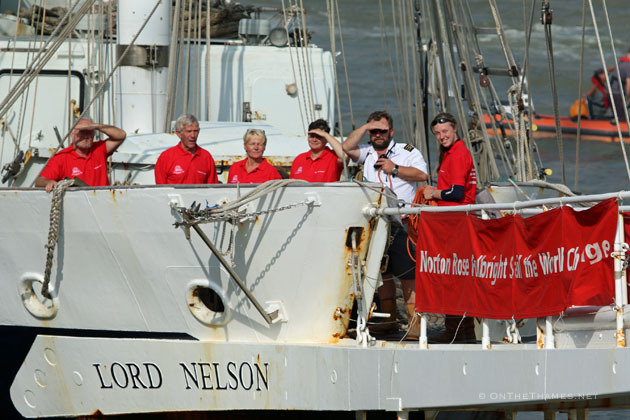 During Nellie's trip around the world on the Norton Rose Fulbright Sail the World Challenge, she crossed the equator six times and was crewed by a thousand people, including 350 with a physical disability. 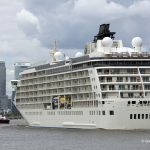 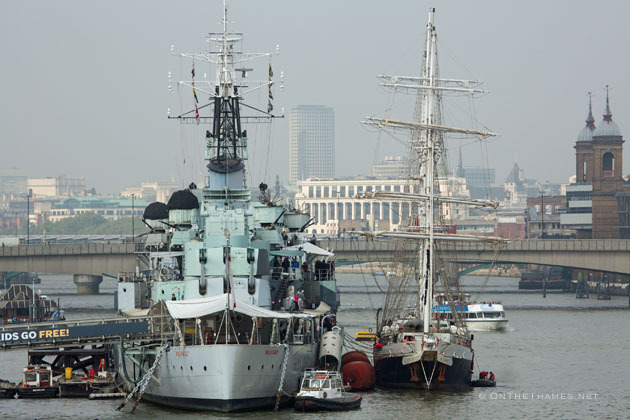 She set off from Southampton in September 2012 and arrived back through Tower Bridge this morning at 10.30am, mooring alongside HMS Belfast while the Royal Marines Band gave her a rousing welcome. 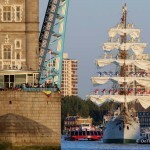 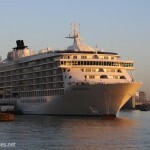 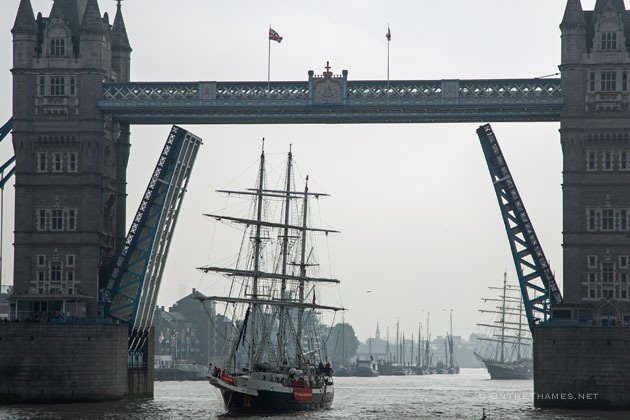 Lord Nelson departs back through Tower Bridge on Monday (22nd) at 1.30pm. 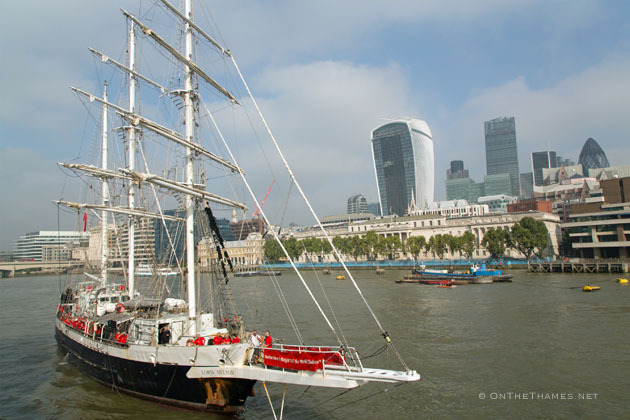 Tenacious will be at HMS President until Sunday lunchtime.